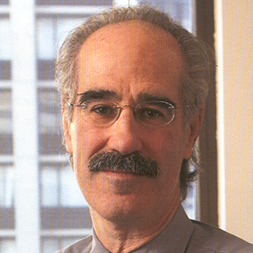 David M. Nathan is the director of the Clinical Research Center and the Diabetes Center at Massachusetts General Hospital, and a professor of medicine at Harvard Medical School. He focuses on the development of innovative therapies to treat type 1 and type 2 diabetes and to prevent long-term complications of the disease. He was one of the architects of the landmark Diabetes Control and Complications Trial, and is an internationally recognized expert on diabetes and its complications. Currently, he is co-chairman of the Epidemiology of Diabetes Interventions and Complications Study in type 1 diabetes and chairman of the Diabetes Prevention Program, an NIH-sponsored multicenter trial to prevent type 2 diabetes. This clinical trial has demonstrated that moderate weight loss and exercise delay the onset of type 2 diabetes in those who are likely to get the disease. Nathan also chairs the NIH-sponsored GRADE study, the first comprehensive, comparative effectiveness study of type 2 diabetes treatments.